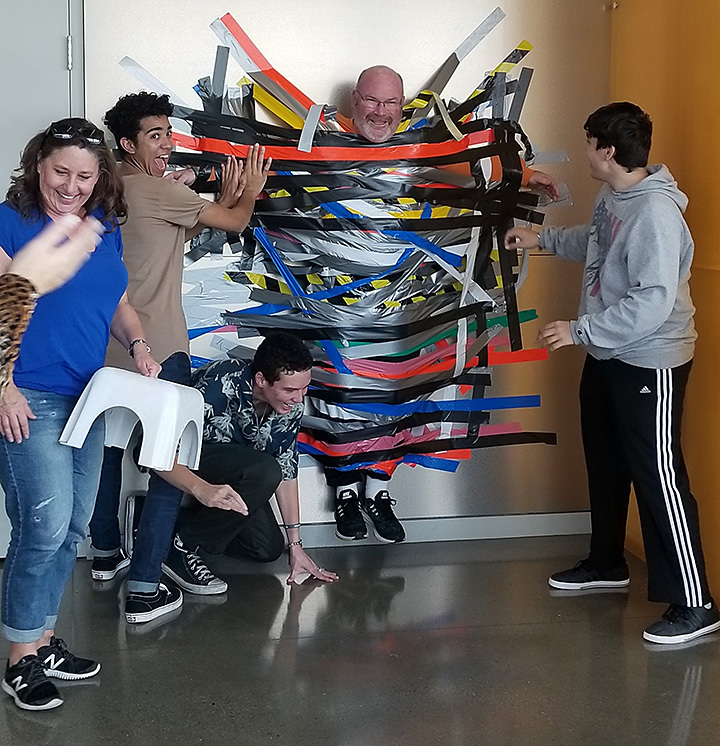 McBride High School Principal Steve Rockenbach was duct taped to a wall by students as part of a recent fundraiser for the school's Criminal Justice and Investigation pathway. Prior to the event, Rockenbach acknowledged, "I'm wondering what I got myself into." Afterward he said, "It was a good-natured way to raise some money and not take myself too seriously." The CJI pathway is one of three pathways at McBride including Engineering and Health/Medical. 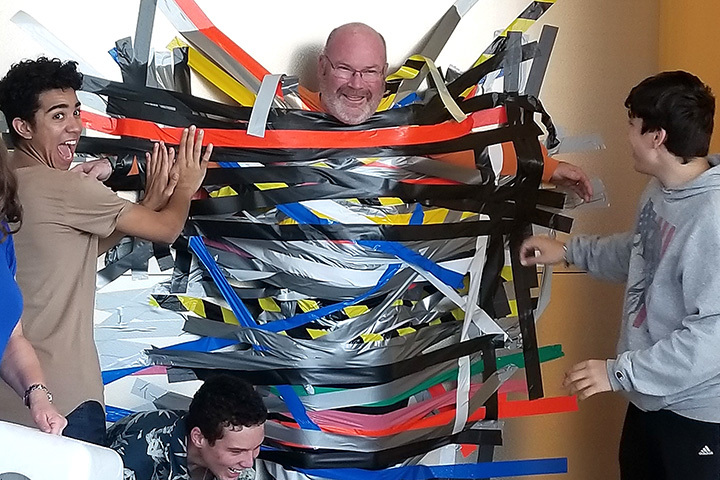 STICKY SITUATION – McBride High School Principal Steve Rockenbach is duct taped to the wall. Select photo to view full image.